While visiting the Nagoya City Science Museum, Twitter user Kantaku noticed something very cool: the coin lockers. See how they've been turned into a giant periodic table? 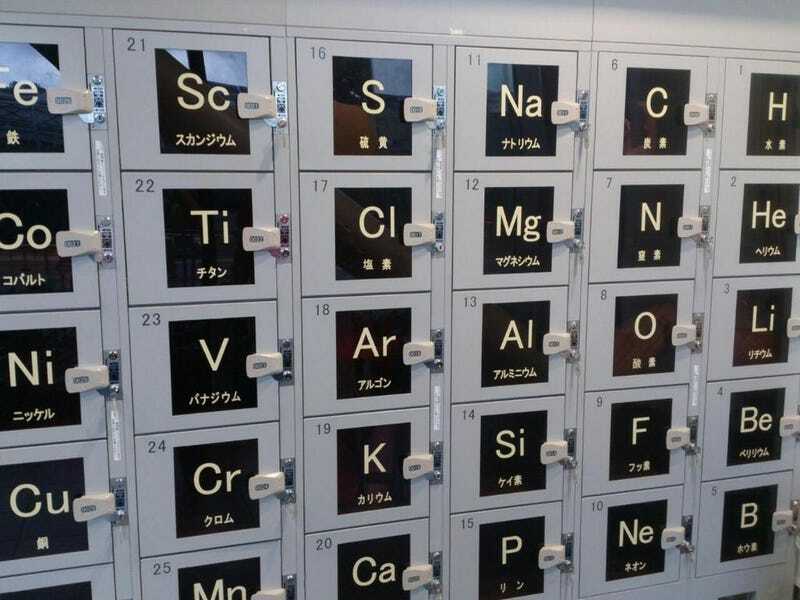 The name of each element is written below each symbol in Japanese, allowing visitors to store their belongings in Helium, Calcium, Oxygen, Potassium, and more. The number of each locker corresponds to the element. So, locker 21 is Scandium as it's the twenty-first element on the periodic table. Locker 3? It's Lithium, like it is on the periodic table—and so on. Dibs on Krypton!